Residential closings for McCall, 60 closed transactions for a total of $23,663,444 with an average sales price of $394,391, median sales price of $271,750 a median price per foot of $152 and median days on market of 195. The median sales price is down slightly from last quarter’s sales of $277,00. Residential closings for Donnelly and Tamarack, 17 closed transactions for a total of $4,057,150 with an average sales price of $238,656, median sales price of $194,900, a median price per foot of $152, and median days on market of 127. The median sales price is down from last quarter’s sales of $260,000. Residential closings for Cascade, 18 closed transactions for a total of $3,096,400 with an average sales price of $172,022 and a median sales price of $174,750. The median price per foot was $114 and the median days on market was 85. The median sales price is up from last quarter’s sales of $135,000. Residential closings for New Meadows, 8 closed transactions for a total of $1,728,250 with an average sales price of $216,031 and a median sales price of $235,000. The median price per foot is $112.50 and the median days on market is 165. The median sales price is up from last quarter’s sales of $192,500. Reviewing the closed transactions from the first quarter of this year, shows an incredibly increase from last year’s first quarter’s numbers. The second quarter of 2014 looks to be just as strong. 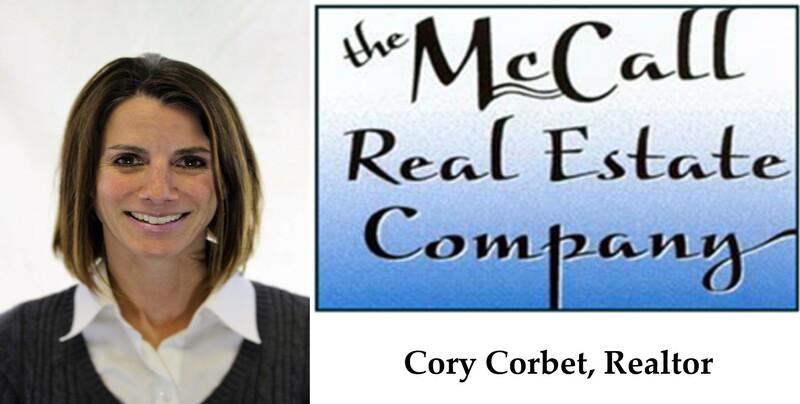 2014 first quarter there were 39 homes sold in McCall for a total of $13,031,389 worth of sales. In the land sales for 2014 first quarter, there were 19 closed transactions around McCall with a total dollar volume of $1,728,725. Compare this to last year’s first quarter. For 2013 the first quarter sales for residential homes, there were 38 sales with a total of $8,740,900. Land sales for were also down from this year, with only $984,755 total dollar volume shared between 19 sales. This data was collected by our local MLS. Please call or email to discuss these or any other properties in more details. I also service the areas of New Meadows, Donnelly and Cascade.